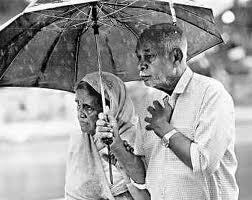 The National Policy on Older Persons was announced by the Government of India in the year 1999. It was a step in the right direction in pursuance of the UN General Assembly Resolution to observe 1999 as International Year of Older Persons and in keeping with the assurances to older persons contained in the Constitution. The well-being of senior citizens is mandated in the Constitution of India under Article 41. “The state shall, within the limits of its economic capacity and development, make effective provision for securing the right to public assistance in cases of old age”. The Right to Equality is guaranteed by the Constitution as a fundamental right. Social security is the concurrent responsibility of the central and state governments. Pensions, travel concessions, income tax relief, medical benefit, extra interest on savings, security of older persons through an integrated scheme of the Ministry of Social Justice and Empowerment as well as financial support was provided for Homes, Day Care Centres, Medical Vans, Help Lines etc are extended currently. The Ministry of Social Justice and Empowerment coordinates programmes to be undertaken by other Ministries in their relevant areas of support to older persons. The Ministry of Social Justice and Empowerment piloted landmark legislation the Maintenance and Welfare of Parents and Senior Citizens‟ Act 2007 which is being promulgated by the States and Union Territories in stages. The large increase in human life expectancy over the years has resulted not only in a very substantial increase in the number of older persons but in a major shift in the age groups of 80 and above. The demographic profile depicts that in the years 2000-2050, the overall population in India will grow by 55% whereas population of people in their 60 years and above will increase by 326% and those in the age group of 80+ by 700% - the fastest growing group. As a result of the current ageing scenario, there is a need for all aspects of care for the Oldest Old (80+ years) namely, socio economic, financial, health and shelter. Women and men age differently. Both have their concerns. The problems of elderly women are exacerbated by a lifetime of gender based discrimination, often stemming from deep-rooted cultural and social bias. It is compounded by other forms of discrimination based on class, caste, disability, illiteracy, unemployment and marital status. Patriarchal hierarchy and access to property rights are also discriminatory. Women experience proportionately higher rates of chronic illness and disability in later life than men. Women suffer greater non-communicable diseases and experience lower social and mental health status, especially if they are single and/or widowed. Over 50% of women over age 80 are widows. The absolute poor in India cannot be expected to participate in long term savings schemes for old age and they do not. The poverty in rural areas for older persons is increasing and needs attention. Hence rural poor would need social security in large measure. This policy addresses issues concerning senior citizens living in urban and rural areas, special needs of the „oldest old‟ and older women.All those of 60 years and above are senior citizens.The policy seeks to reach out in particular to the bulk of senior citizens living in rural areas who are dependent on family bonds and intergenerational understanding and support. Promote the concept of „Ageing in Place‟ or ageing in own home, housing, income security and homecare services, old age pension and access to healthcare insurance schemes and other programmes and services to facilitate and sustain dignity in old age. The thrust of the policy would be preventive rather than cure. The policy will consider institutional care as the last resort. It recognises that care of senior citizens has to remain vested in the family which would partner the community, government and the private sector. Being a signatory to the Madrid Plan of Action and Barrier Free Framework it will work towards an inclusive, barrier-free and age-friendly society. States will be advised to implement the Maintenance and Welfare of Parents and Senior Citizens Act, 2007 and set up Tribunals so that elderly parents unable to maintain themselves are not abandoned and neglected. States will set up homes with assisted living facilities for abandoned senior citizens in every district of the country and there will be adequate budgetary support. A major intervention required in old age relates to financial insecurity as more than two third of the elderly live below the poverty line. It would increase with age uniformly across the country. 1. Old age pension scheme would cover all senior citizens living below the poverty line. 2. Rate of monthly pension would be raised to Rs.1000 per month per person and revised at intervals to prevent its deflation due to higher cost of purchasing. 3. The „oldest old‟ would be covered under Indira Gandhi National Old Age Pension Scheme (IGNOAPS). They would be provided additional pension in case of disability, loss of adult children and concomitant responsibility for grand children and women. This would be reviewed every five years. The public distribution system would reach out to cover all senior citizens living below the poverty line. Loans at reasonable rates of Interest would be offered to senior citizens to start small businesses. Microfinance for senior citizens would be supported through suitable guidelines issued by the Reserve Bank of India. Healthcare needs of senior citizens will be given high priority. The goal would be good, affordable health service, heavily subsidized for the poor and a graded system of user charges for others.Restoration of vision and eyesight of senior citizens will be an integral part of the National Programme for Control of Blindness (NPCB).Special programmes will be developed to increase awareness on mental health and for early detection and care of those with Dementia and Alzheimer‟s disease. Provision would be made for stringent punishment for abuse of the elderly. Abuse of the elderly and crimes against senior citizens especially widows and those living alone and disabled would be tackled by community awareness and policing. Establishment of Department of Senior Citizens under the Ministry of Social Justice and Empowerment, which will be the nodal agency for implementing programmes and services for senior citizens and the NPSC 2011. National/State Commission for Senior Citizens. The Commissions would be set up under an Act of the Parliament with powers of Civil Courts to deal with cases pertaining to violations of rights of senior citizens. Establishment of National Council for Senior Citizens, headed by the Minister for Social Justice and Empowerment will be constituted by the Ministry. With tenure of five years, the Council will monitor the implementation of the policy and advise the government on concerns of senior citizens.